It was a fabulous day on Saturday at Streets Alive Mission. 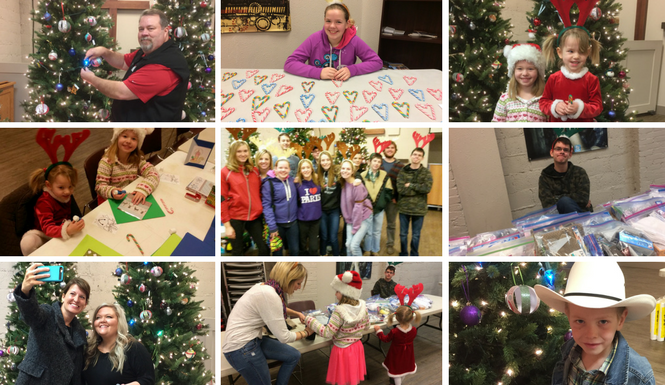 Families and friends joined us for an open house to create some Christmas cheer for those who might not otherwise have any reason to celebrate. These are just a few photos from the Heralding Hope Festival 2016. If you were unable to attend Saturday’s event, you can still help out. Streets Alive accepts clothing donations year-round, Monday to Friday from 9:30 am to 12 p.m. and 1 to 4:30 p.m. Donations can also be made online at http://www.streetsalive.ca/hope/donate.